While the Detroit Red Wings fans look on as other U.S. cities try to lay claim to “Hockeytown” – like Las Vegas! – they can find solace in two recently-published books that look at the club's better times. The newest of the two releases is The Russian Five: A Story of Espionage, Defection, Bribery and Courage from Keith Gave (Gold Star Publishing). 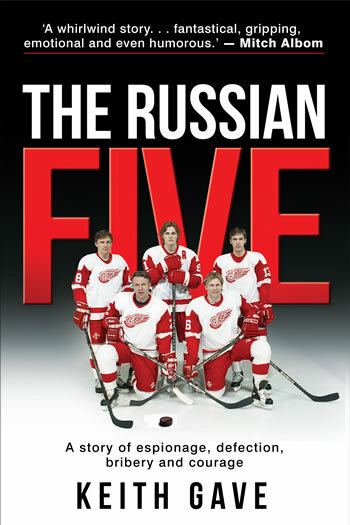 It looks at how the Wings got Sergei Fedorov, Viacheslav Fetisov, Vladimir Konstantinov, Vyacheslav Kozlov and Igor Larionov into their lineup, revolutionizing hockey in many ways, paralleling the changing times in the Soviet Union. 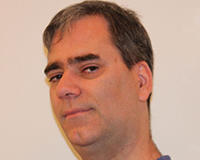 Gave is the right man to tell the story too, as he was a part of it. 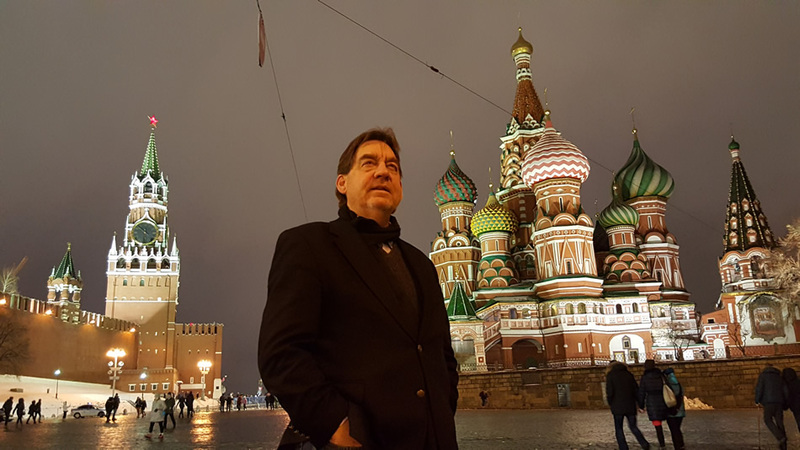 Before joining the Detroit Free Press newspaper, he spent six years in the United States Army as a Russian linguist working for the National Security Agency during the Cold War. 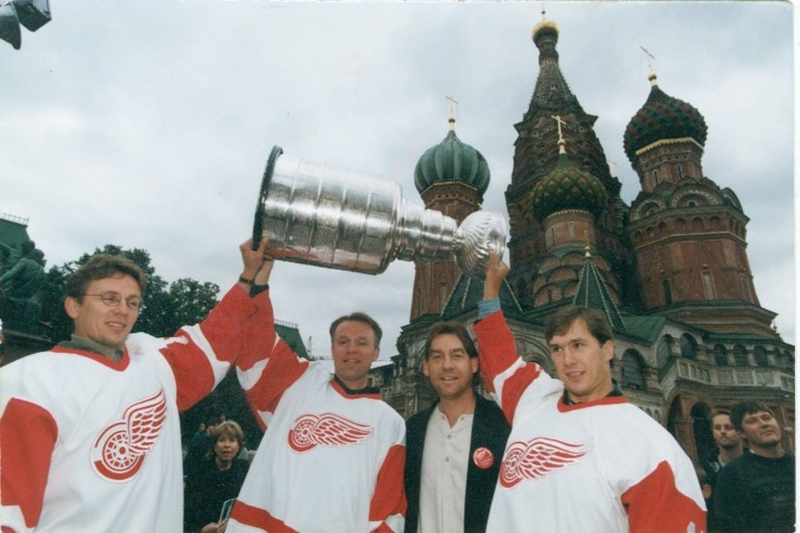 The Wings began drafting the Russian players in the hope of eventually getting them into North America to play hockey. Enter Gave. It's part hockey book, part spy novel, part triumph, part tragedy, especially the post-Stanley Cup limo ride that crippled Konstantinov. Learning the behind-the-scenes manoeuvrings that got the Russian Five out of Russia is fascinating, and the passage of time allows for greater perspective. Those that stood up to the Soviet regime were trailblazers, and should Alex Ovechkin finally get his hands on the Stanley Cup this season, as the Russian Five did before him, he should send them all a thank you card. While the book was ready back in December, the decision was made to hold it until March 2018 for release, to better tie-in with the documentary. It is also just now hitting shelves in Russia. As for the doc, its world premiere was at the Detroit Free Press Film Festival on April 11, before a sold-out audience of more than 2,000 at the Fillmore Detroit. Straight from the world of theatre comes another book on the Red Wings. Wait, the theatre? It turns out that some of Cynthia Lambert's acting buddies loved to hear her tell stories of being a beat reporter for the Detroit Red Wings, so much so that they convinced her to write them down. The result is the self-published Power Play: My Life Inside the Red Wings Locker Room. “Who do you think you are, coming in here? No one wants you here!” These words were screamed by Dave "Tiger" Williams as he stood inches from cub reporter Cynthia Lambert. It was one of the first things said by a professional athlete to the twenty-two-year-old college student as she entered the Detroit Red Wings locker room at Joe Louis Arena after the team suffered a tough loss. Shaken by the verbal assault, Cynthia had to make a decision on the spot--and in front of the watchful eyes of other players and media members. Did she have it in her to weather the prejudicial storms that likely lay ahead, or should she turn tail and run? She didn't run. Instead, she stood her ground and blazed an enviable career path after landing the job of a lifetime—covering the NHL's Detroit Red Wings as the beat writer for The Detroit News. It was a challenge for Lambert to dive into her memory banks, the introspection welcome and revealing. 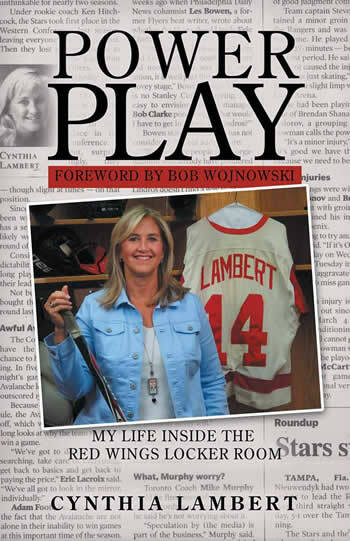 Made up of many shorter chapters, Power Play is “not so much a sports book as it is a life book,” said Lambert, who grew up in Detroit, and is a dedicated follower of the Detroit Tigers from her Grosse Pointe home. The creative process on the book was different than her day job as a PR/Communications Specialist at Henry Ford Health System, writing communications for physicians, nurses and patients. A young adult novel might be in her future, spurred, in part, from another life experience—raising a son who is an avid reader, that also performs comedy, magic and acts in the theatre. Ottawa-area media personality Liam Maguire announced that he was working on his fourth book, this one on the life of Goldie Goldthorpe, the real Ogie Oglethorpe. Burnstown Publishing will be publishing it. “It's my belief this man's life story has potential to be the most inflammatory, controversial, explosive and tragic tale mixed with humour, euphoria, a sense of brotherhood and good times. All of it with an undercurrent of extreme fistic violence on and off the ice that led to arrests, incarcerations and hospital stays when he was stabbed and later shot,” posted Maguire. “No athlete in the history of sports has led a life like his. Many have lived through portions of it, none are comparable including being driven from jail to his ice times and then back to jail again. After a post-game hot meal of course.” It is expected to be out in the spring of 2019.